Sitting boldly on a more than 2-hectare property, Rumah Atsiri serves as an educational destination on atsiri plants and the perfumes they produce. It is home to at least 50 atsiri species from sereh (citronella), kayu putih, pala (nutmeg) and mawar (rose), to jinten (caraway seeds), cendana, arum dalu and rosmarin (rosemary). 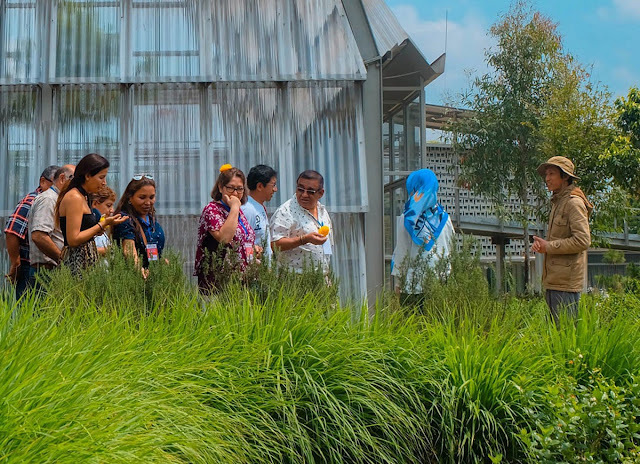 Opened in March 2018, the place offers both a cool atmosphere and lessons on architectural history and atsiri plants at its museum. On the property, visitors can find several buildings, namely the Atsiri Museum, a kid’s lab, restaurant, coffee shop, merchandise shop, atsiri garden, a meeting and conference venue and a cottage. The museum is housed in a well-maintained old building. "We want to make Rumah Atsiri a tourist destination with a different concept: recreation while learning. 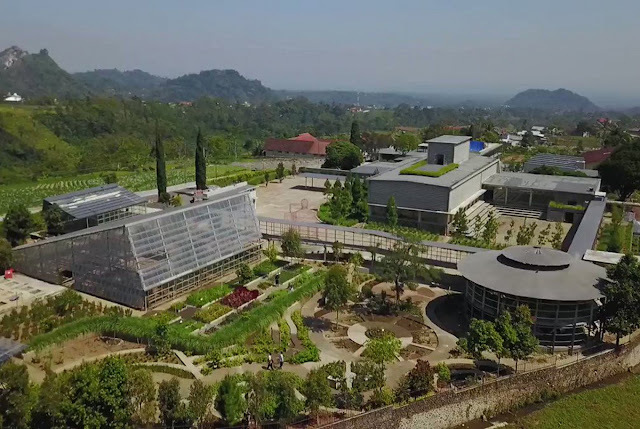 Here tourists will not only discover atsiri plants but also experiment with turning the plants into perfumes," Rumah Atsiri general manager Indrian told The Jakarta Post on March 12. Rumah Atsiri was initially a factory that processed sereh into perfumes. A collaboration between Indonesia and Bulgaria, the citronella factory was built in 1963 and started operating in the same year. During that time, the factory produced sereh oil, a source of perfume substances like citronellal and geraniol. Javan citronella, for instance, contains 32 to 45 percent citronellal, 11 to 13 percent geraniol, 3 to 8 percent geranyl asetat and 1 to 4 percent limonene. Citronellal is the main constituent of rose-scented synthetic compounds. According to the museum’s records, when the factory was built, Bulgaria produced 85 percent of the world's rose oil. Hence its profit-sharing collaboration with Indonesia to build the atsiri oil factory benefited both parties. 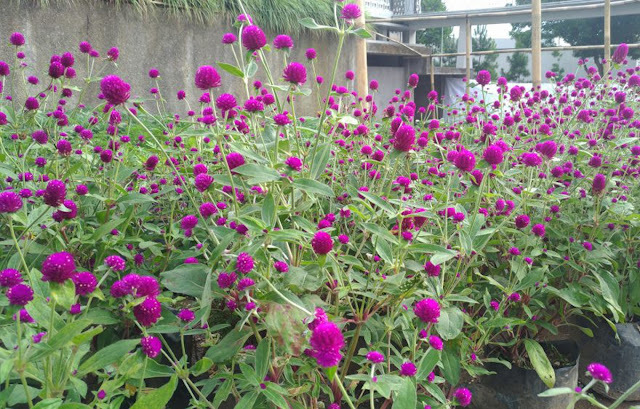 "We want to educate people about atsiri plants, as well as the process of turning them into perfumes, from harvesting the plants to distilling them. Hence visitors can enjoy both fresh air and bring home knowledge," said the owner, Julia Ekajati. Visitors can also take part in bath bomb, soap and atsiri oil making workshops at the Citronella Science Lab. "We also have workshops on kokedama, the Japanese art of creating ornamental plants. They’re different from bonsai, which take a long time to make," said Julia. The atsiri garden is also interesting, especially the Marigold Plaza, which is filled with atsiri plants. Visitors can be seen taking selfies with the brightly colored flowers.